Through early education initiatives, the Center for Education and Workforce explores the critical role of early childhood education and care as an entry point to readiness, strengthening the current and future workforce, wherever possible enabling business to lead the way towards change. A world-class education system is critical to a world-class workforce. In the face of an increasingly competitive global economy, building a highly skilled workforce is more important than ever. American business depends on a strong workforce, now and in the future, to compete and succeed globally. The skills gap challenges we face today may manifest in the workforce, but they have roots in the classroom. Our education system is falling short in preparing students to succeed. Business leaders have long understood the importance of a well-educated workforce to support a strong economy, keep America competitive globally, and ensure a vibrant democracy. What is less discussed is the underestimated, and as such historically under-supported, phase of education and human development: early childhood education, years 0-8. In today's economy, an unprecedented number of young children are in paid childcare for a substantial portion of their early years. And while childcare is a necessary support for the workforce of today (working parents), it also has a critical impact on children (the workforce of tomorrow) during the most consequential phase of human development. We at the U.S. Chamber of Commerce Foundation believe that for American business, advancing high-quality childcare is a winning proposition. It's a wise investment in America's future, strengthening business today while building the workforce we'll depend on tomorrow and for decades to come. Our goal is to educate and encourage business to make this wise investment. If you are interested in becoming involved with or sponsoring our work, please contact education@uschamber.com. The path to success in the education system starts with a solid foundation constructed in the first years of life. Armed with the data, tools, and resources you need for each critical age group (age 0-3, age 3-5, age 5-8), use this interactive infographic to make the business case for investment. Case studies that illustrate best practices and lessons learned for how to engage. 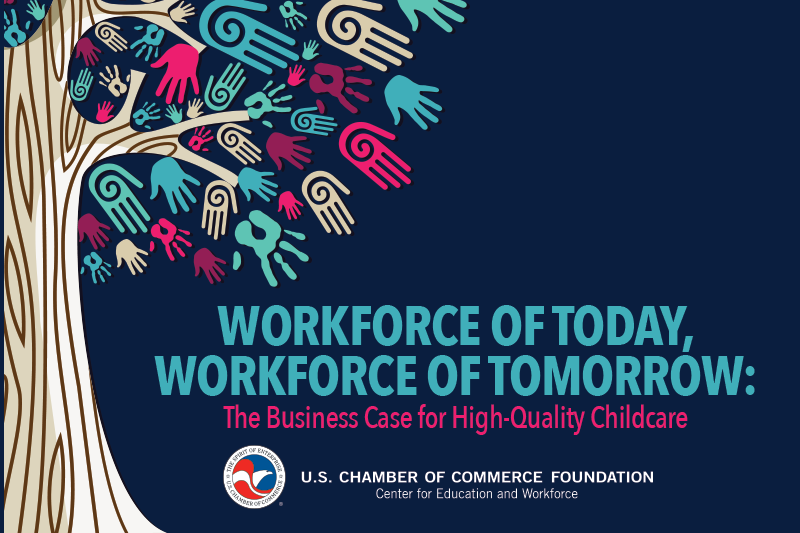 Our report, Workforce of Today, Workforce of Tomorrow: The Business Case for High-Quality Education, explores the under-recognized role of high-quality childcare in the education and workforce pipeline. 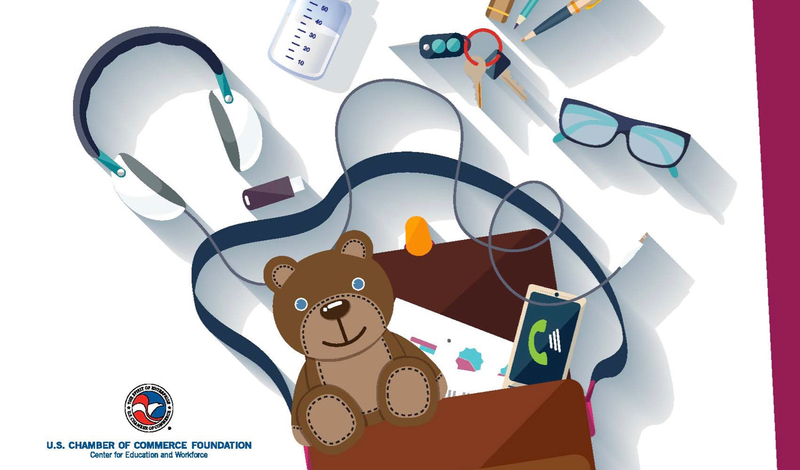 This report, and the initiatives that have followed its release, stress the importance of high-quality education from an early age to support the development of the workforce of tomorrow, and the parents and guardians trying to provide that education while contributing to the workforce of today. Specifically, the report outlines 10 things that the business community can do to advance access to high-quality childcare. The U.S. is facing a gap between the skills employers are looking for and those produced by the education system. The foundation for skill development is laid in the earliest years, and this infographic shows the value of investing in high-quality early education and care. The business community has a unique opportunity to lead the way in implementing family policies that support their employees and make economic sense for the business' bottom line. We surveyed working parents to determine the best path forward.